The versatility of interlocking pavers makes it one of the most important materials for constructing landscapes. This type of paver comes in many patterns, colors and shapes that give freedom for design creativity. 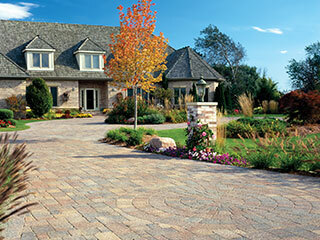 Interlocking pavers can powerfully enhance the value of any property because of its visual appeal. And since this material is very flexible, it can beautifully match any landscaping design as compared to a rigid pavement. The many great characteristics of interlocking pavers make it the top choice of many contractors, architects and engineers. Our company is also one of the countless landscaping companies in the country who depends on the durability of interlocking pavers. Seasons Unlimited Inc. highly recommends the use of this material for paving areas. Our company is presently at the forefront of paving stone installation and is continually striving to deliver excellent works by providing professional design, installation and maintenance to the people in North Carolina. Investing in interlocking pavers is a smart thing to do because of the many benefits it offers. As already mentioned, this material comes in a number of design options. You can ask our professional installers to make the most fitting design for your property. For a more personalized design, you can freely create your own for there are a lot of possible paving styles that can be made from this material. Interlocking pavers are also regarded for its durability. It doesn't crack easily and is three times stronger as compared to poured concrete. Using interlocking pavers is actually worry-free. This can be repaired as easily as it is installed. The pavers simply need to be unfastened to allow repair. This material doesn't require frequent maintenance, sealing or replacement. 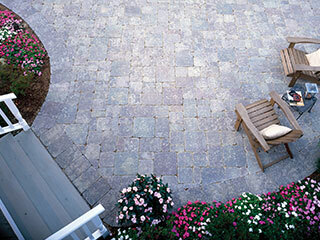 The colors of interlocking pavers come in a myriad of selections. These range from pale grey to cloudy black. Depending on the design you want to create, you may settle with one color or combine two to three colors to create a more interesting view. The patterns of this material are nearly limitless, too. The designs of interlocking pavers also differ. The designs are mainly based on different variables like the estimated load stress, rainfall, water table, climate and soil make-up. Interlocking pavers are also characterized for having non-skid surface, which makes it safe both for pedestrians and vehicles. There are many applications of interlocking pavers both for commercial and residential properties. In commercial properties, this material can be used for loading docks, parking lots, airport pavements, industrial storage areas, median strips, community centers, streets, shopping malls and erosion control. This material can also be used in residential properties for patios, balconies, pool surrounds, pathways, walkways, driveways, courtyards, erosion control and terraces. Generally, the beauty and durability of interlocking pavers depend on its designer and installer. This is what we guarantee at Seasons Unlimited Inc. We ensure proper installation of pavers to give our clients a lifetime paving solution. Moreover, our staff can also guide our clients in choosing the most fitting patterns of pavers for their property. Check out our project portfolio, and decide if our products and services meet your criteria for quality paver installer.